4 with the Timeline at the top. 4 with the Timeline at the bottom. 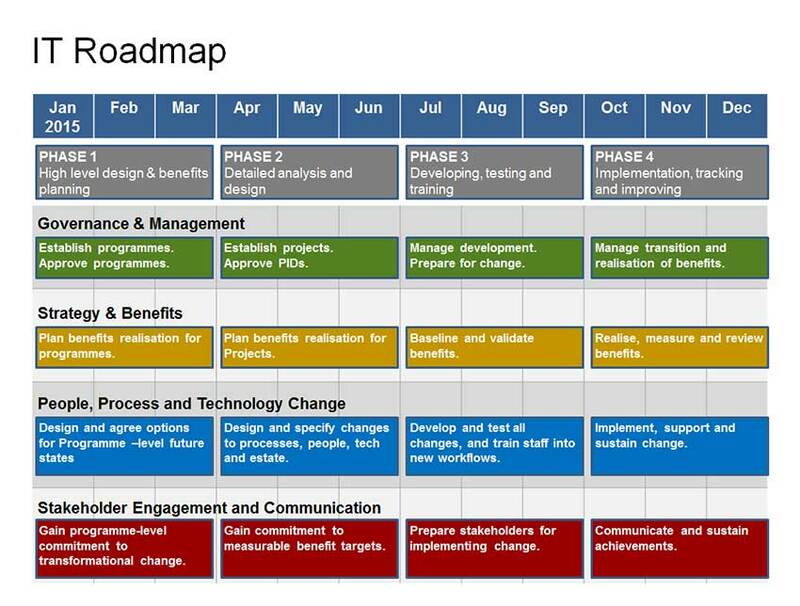 The Market Trend Roadmap features 4 varieties of 5-year plan each with 4 workstreams. Format 1 : Clean, with tube map graphics. Format 2 : Separating Market and Product areas. Format 3 : Light, simple design. 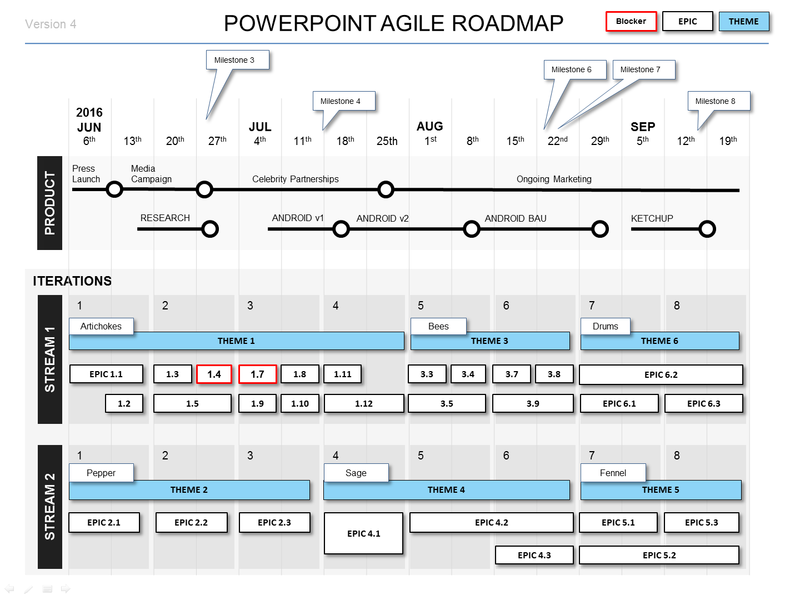 Format 4 : More space for Product Portfolio areas. 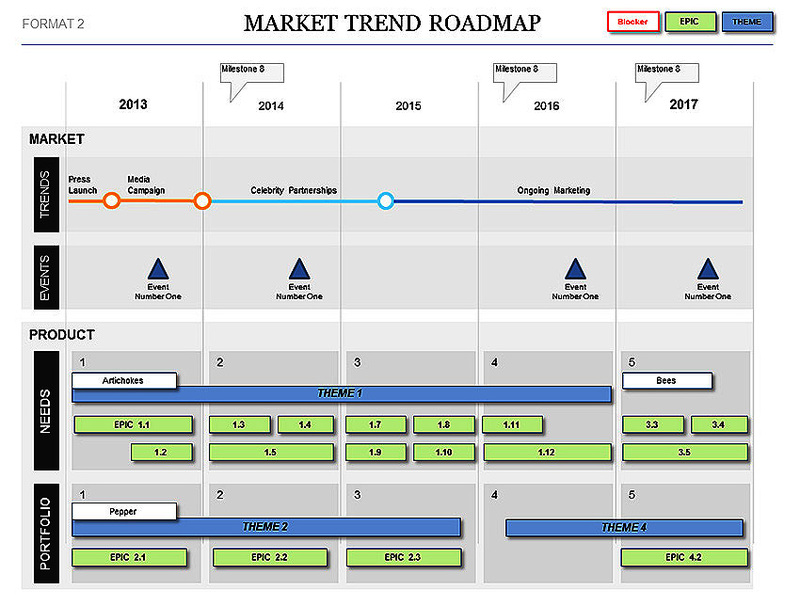 Rating for Market Trend Roadmap Template Template: 4.4 out of 5 , based on 4 customer reviews.